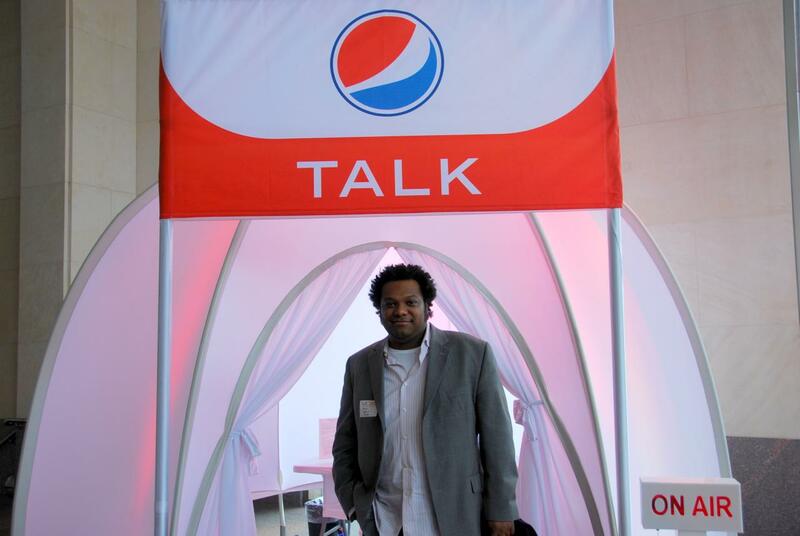 Pepsi's Podcast Playground made a splash at SXSW taking over a corner of the Austin Convention Center doing interviews and making it easy for others to conduct podcasts of their own. SXSW Interactive kicked of Friday and if you've ever been, you know it's just, well, HUGE. There's no other way to describe it. A friend once dubbed it "the internet in real life." WHich is very true. EVARyone is here. Even Alex Bogusky. Yes, Alex Bogusky who did a panel on....um....bikes or something. We didn't get it really. Anyway, there were only a few session the first day. Most of the action was in the hallways as everyone was registering and mingling and getting to know the IRL version of the people they've known online for years. Oh...and commercial interruption (totally unplanned I promise)...I just met the CEO of blurb, Eileen Gittens, in the press room. The Killed Ideas project I'm working on involved blurb which will publish the work after I choose the final 50 killed ideas in April. 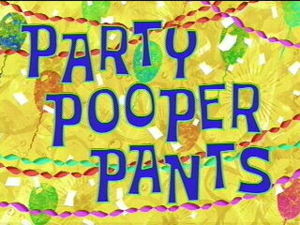 Back to regularly scheduled programming. Oh screw that. All you want are the picture, right? Well here they are. Future Lions Taking Entries. On Your Marks...! 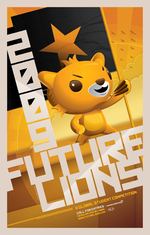 Attention ad students: The Future Lions ad competition is now taking entries for 2009. Hosted by AKQA and the chastened Cannes Lions Int'l Film Festival, Future Lions seeks ideas for advertising a global brand "in a way that would not have been possible five years ago." Sky's the limit in terms of product, target audience, media and technology -- and THERE IS NO FEE TO ENTER. Submission deadline: May 4, 11:59 PST. Sounds far away, but it's not; get crackin', kids. Think of the bikinis, and the HD cams, and your faux friends, all consumed with envy and whatnot while you get tanned for being talented. We've had a good time poking fun at contextual advertising, a $1.6 billion industry, over the years for its awkward mishaps and curious mismatches but it's still a viable practice. So viable, there's now a conference dedicated specifically to the practice. OMG! No Parties at Cannes This Year? Everyone knows the real reason ad people go to conferences and awards festivals is for the networking and the parties, right? Oh, and other un-printable things too. So what would happen if, suddenly, there were no parties at say, for example, Cannes? Oh wait, there are no parties at Cannes this year. BBD? No. Publicis? No. Havas? No. Leo Burnett? Unlikely. Oh sure, there will be smaller get togethers but this year's Cannes, no thanks to the economy, may end up being as much fun as a life insurance conference. 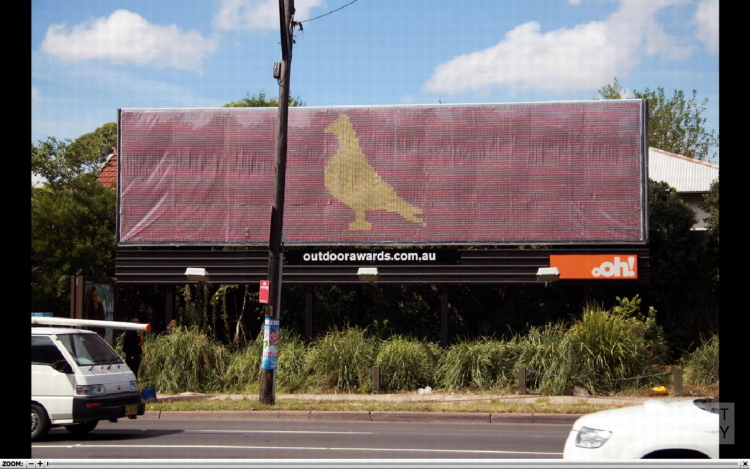 This year for the Australian Outdoor Awards, the Outdoor Media Association is giving away a grand prize of 10,000 one-dollar stratchies (scratch-to-win lotto tickets) -- all of which are currently being used to wallpaper a billboard over Sydney's Parramatta Rd. Billboard conceptualized by The Glue Society. There was also a billboard truck, which drove around the country for 36 days to promote the event. Twitter got you stressed? Facebook got you exasperated? The social graph got your blood pressure up? 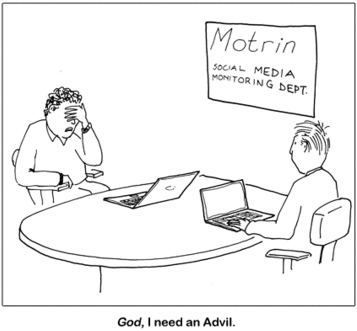 Sick of your client/your agency blathering on endlessly asking/telling you about social media? Then you should check out a couple of workshops offered by J.A. Jones Consulting. The workshops are designed to address two common barriers to entry in social media: understanding how to use the increasing number of tools and understanding social media etiquette to personally connect with audiences online. Ogilvy Worldwide Vice Chairman Steve Hayden, Hulu CEO Jason Kilar and Wikipedia Founder (some would argue co-founder) Jimmy Wales will keynote. A series of Boot Camp sessions will offer up real world dos and don'ts when it comes to digital media and the tricks of the trade. ad:tech Brand YOU forums and seminars will help people evaluate their skills, become better leaders and broaden perspective. The exhibit hall, as always, will be packed with hundreds of companies for you to speak with and do business with. You concept the most amazing idea you've ever concepted and present it to them. During the presentation they praise it. They love it. They fawn all over it. They pontificate about how it will introduce a sea change within their industry and how it will skyrocket the company to greatness. Everyone fist bumps each other at the end of the meeting and the client promise to call with final approval the next morning. - There's been movies about boxing. There's been movies about wrestling. 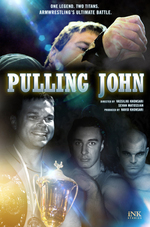 Now there's a movie about...wait for it...arm wrestling. Well at least they didn't name it Pulling Johnson. at last week's SMX Search Marketing Cnference in Santa Clara. - Complete with PeeWee Herman's "Don't Do Crack," The Huffington Post has collected the Nine Weirdest PSAs Ever Made. - There are five days left to enter the 2009 One Show Interactive and One Show Design. Although the One Show call for entries is now closed, the deadline for Interactive and Design is February 27, 2009. - Ogilvy does its part for diversity. - The AD Club is organizing their second All-Access Pass of the Year. The event will be at McCann Erickson on Tuesday March 10 from 6-8 pm, featuring a "roundtable" with Chief Technology Strategist, Faris Yakob. - RevenueScience is changing its name to AudienceScience.